The TeeChart Charting Library for BlackBerry is built in native Java and supports most teechart series types including pie chart, line chart, points, bar, area, gauges and maps and 2D,3D formats. 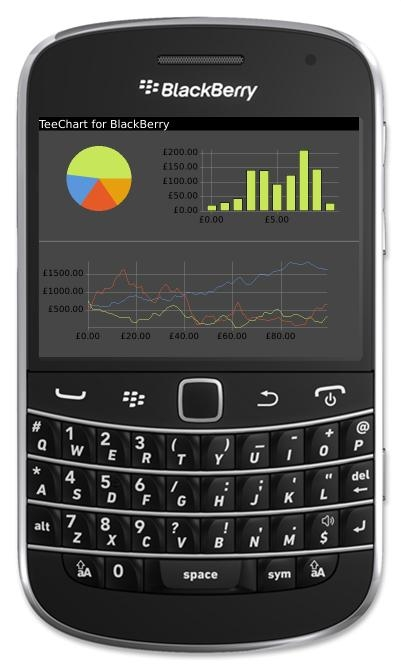 The BlackBerry Chart library includes 100% native Java code and uses the BlackBerry SDK (see the BlackBerry Developer web for details: https://developer.blackberry.com. To access the beta please follow this link to the Mobile Evaluations download page.